Have you ever wondered how it would feel to take a leading role in one of your movies Disney favorite? Or maybe, to be able to have the ability to call the Genius of Aladdin during battles challenging ? Kingdom Hearts has the answer to these questions, leaving on a tour that follows the charming Sora, who ends up involved in the universes of classic Disney. The result? An adventure through nostalgia that remains today. After almost 15 years since that was released Kingdom Hearts II, Square Enix finally released Kingdom Hearts III, bringing the end of the franchise as expected for a legacy riddled with spin-offs and titles with the nomenclature a little confusing. If you want to make sense of so many video games over the years, it is important to note that each delivery plays its role in the story. In my case, I decided to start my journey from where it all began. Instead of playing Final Remix, a localized version of the game japanese most recent, I chose the original version for PS2 Kingdom Hearts. To be a title that was released in 2002 – exactly two generations of consoles before the current – I was surprised to notice how fluid is the movement and the combat. Kingdom Hearts can be an RPG in the japanese pure and hard, but from the first few minutes, the focus in the action is more than obvious. One can realize how well it is maintained today by the polishing that is the gameplay for that time. The experience begins with a tutorial where you must choose between three weapons, leaving behind one of the remaining two as a second step. I chose a coat of black that bore the emblem of Mickey Mouse on top. In the following moments, I had to answer some questions about my goals in life and my biggest fear. These decisions had their weight throughout history, determining the skills that desbloquearía first and how fast or slow Sora would increase your level. Kingdom Hearts presents a conflict that goes beyond the home of Sora, breaking the balance and barriers to other worlds. The coat of arms of Mickey Mouse that I chose for the tutorial was just one of the first of the many references to Disney that there is in the game. The scenarios in which is performed the tutorial are present in huge murals of snow White and Cinderella, and in less than two hours, Donald and Goofy were already part of my group. From Halloweentown in The Nightmare Before Christmas , Deep Jungle from Tarzan, Kingdom Hearts presents a conflict that goes beyond the home of Sora, breaking the balance and barriers to other worlds. While the protagonist and his fellow Disney are the intruders, the familiar faces that inhabitan these magical worlds could not have made me feel more at home. 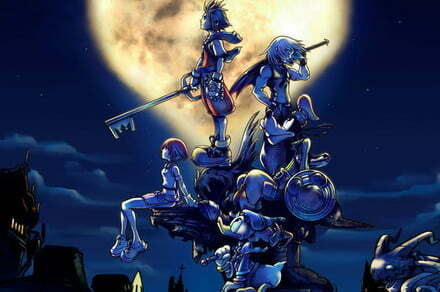 The story of Kingdom Hearts is quite long, and it may take around 25 hours to complete it if only you focus on the main mission. And, honestly, it’s overwhelming, even for being the first installment of the franchise. Don’t get to be the giant mess of timing jitter and worlds that the fans always talk about, but it is a lot to digest. To quickly summarize what the story of Kingdom Hearts – the human race is doomed because of the greed that took to gain the power of the light. The darkness has begun to become present, causing the destruction of worlds. Sora is the master of Keyblades and the only person able to seal the darkness, to prevent that destroys everything in its path. So that is the one in charge of visiting each of the planets of Disney to help the characters to fight against both the darkness, as with the villains of each story. Led by the villainess Maleficent from Cinderella, the antagonists join forces to try to capture all the princesses in these worlds. King Mickey also embarks on this mission, but there is always a step forward, and it is not until in the last moments that we see him in person. Cloud of Final Fantasy is in the game also, featured as a fighter in the coliseum of Hercules. But I’m not sure why. The antagonists join forces to try to capture all the princesses of the worlds of Disney. Both Donald as Goofy are commissioned by King Mickey to help Sora, taking the roles of healer and tank in the mission, respectively. Both level up, learn new skills, and can be customized with new equipment, items, and even skills to best suit your needs in combat. They are a nice company to have, even if Donald is not the best healing. At least not until the latter stages of the story. I can’t remember all of the times that I asked for help when my health was low, only to be answered with the silence of my room and the screen of “game over”, taking me back to the checkpoint most recent. The combat in Kingdom Hearts is fast and full of action. Starts off pretty simple, offering only a melee attack, a handful of spells, and the ability to jump. Spent a few hours playing, and soon you will be able to dodge, block, counterattack, and perform all sorts of wizardry. The magic is learned and improved mainly as a reward after certain fights, while items such as potions and materials used for crafting then appear to end up with an enemy, or opening chests in the world. The enemies – or “Heartless” as they are called in Kingdom Hearts – they come in all sorts of shapes and sizes, adapting to the world in which you are visiting. I was impressed by the design of these enemies, especially the Heartless gigantezcos that they will fight against you as bosses. Give a good fight, and stand out with different weak points that make them both challenging as well as entertaining. The struggles against the villains of Disney are particularly versatile, bringing its own tricks to the game. In the world of The little Mermaid, the witch of the ocean, Ursula, haunts the Disney princess, Ariel. Inevitably we ran into her, fighting a giant version of the character who attacks with spells, water and a hunger that seeks to quench trying to devorarte. The fight against Oogie Boogie ( The Strange World of Jack) you encasilla in a casino roulette, popping up various traps and enemies on the basis of dice rolls. It is as difficult as it sounds, but it became my personal confrontation favorite during my time in Kingdom Hearts. The ship Gummi added nothing which would complement or improve my experience. In fact, it felt unnecessary. A section of the that not it took a long time annoy me was the ship Gummi. It is a transport used by Sora and company to travel through worlds, shooting other ships in the form of blocks and dodging obstacles, but then you unlock a fast travel makes everything more direct. Learn how to use the editor of the nave Gummi is something that I was not willing to do. While all the “loot” that we get on these trips can be used to improve and customize our ship, I found that the ship Gummi added nothing which would complement or improve my experience. In fact, it felt unnecessary. 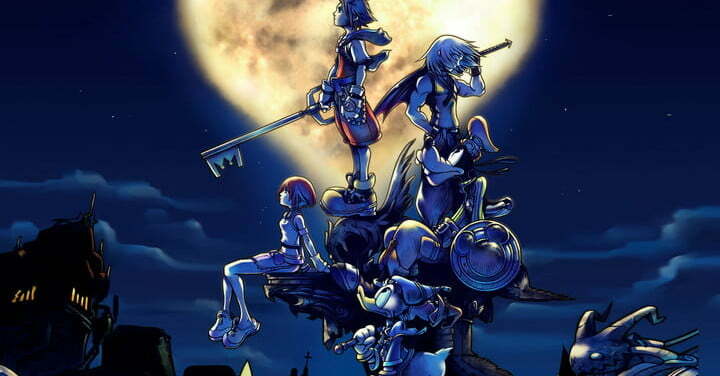 Progress in Kingdom Hearts is pretty linear, but follows the standard of the RPGs of its time. The process is simple: you know the characters inside a world, you provide help, and then you use the Keyblade from Sora to seal the door. And so it repeats. This continues until you reach the last levels in Kingdom Hearts, where things start to get something rare. A new and old enemy comes to the story with their own world for the final battle. This takes you along a empty space, surrounded by portals that activate fights with new enemies, and even take you back to some of the worlds of Disney for one last fight. It feels kind of forced, yes, but not stopped me. Honestly, the unexpected end of Kingdom Hearts did not do more than leave me with the urge to play, just to see how it continues the story of Sora. As you learn more about their conflicts, the more you will feel inclined to help them. There is much to enjoy in Kingdom Hearts, beyond unnecessary of the nave Gummi and the shifting story. Even being an unknown in most of the worlds you visit, the warmth of the characters make it easy to feel connected to their homes and stories. As you learn more about their conflicts, the more you will feel inclined to help them, and the satisfaction that you get only that is immensely rewarding. The combat action and the versatility of the bosses are so polished that remain impressive even today. The villains of Disney, in particular, bring in the best challenges to the table, emphasizing conflicts that you will recognize from the movies. There is No doubt that fans of Disney will feel an immense sense of nostalgia, stepping on worlds that feel familiar and interacting with the characters or villains that inhabit them, even if it is only for short periods of time. Sora deserves a particular recognition for being a character charming, with whom it is easy to grow fond of. You’ll laugh and even cry with him, but his joy and sadness are always tangible, so too are the friendships that you create with Donald and Goofy. Now, I understand why fans are excited for Kingdom Hearts 3. It is something magical, like the feeling that you generates find and view a VHS forgotten a Disney movie that you loved when you were little. Maybe it’s the nostalgia talking, but I’m anxious to see everything that the franchise has to offer, even if you have to take me a good while to get to it.